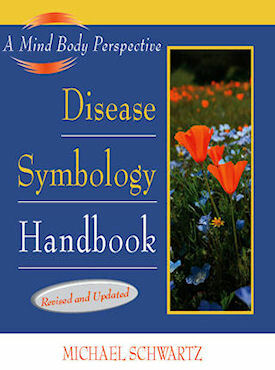 A reference work for true healing, the Disease Symbology Handbook has been revised and updated! The definitive guide to how symbols reveal the real causes of disease, common physical conditions, and states of mind, now with a longer and more complete list of these ailments. An almanac of Universal Guiding Principles and keys to the healing properties of the mind, nutrients, herbs and supplements, the Disease Symbology Handbook is a powerful system for healing and recovery in all aspects of life-health, financial, social, and psychological-by using inspired teachings to reveal the root causes of physical and emotional disharmony.